I love visiting Rehoboth Beach. I’m often there eating (which I did do a good amount of this weekend), but this time, I also got a 17-miler in. If you’ve been following my blog, you know I’m training for the Big Sur International Marathon, which is April 26. While I’m not following a distinct plan, I have done a few hill workouts and I’ve been upping my long run distance over time: Next weekend, I’m planning to do 19 miles. The following weekend, I’m planning to do 22, before dropping the mileage down. 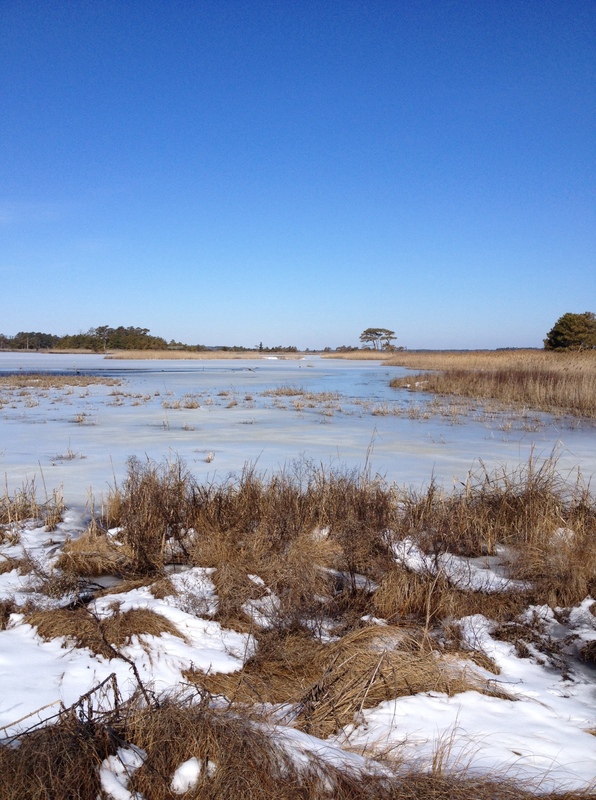 I ran the Rehoboth Beach Seashore Marathon in December, and I knew I wanted to make the Gordons Pond Trail part of my 17-mile route. I really enjoyed running on the trail during the marathon, and I knew it was a reasonable distance from the hotel where I was staying, The Breakers. I didn’t run the entire trail, but after about two miles including the boardwalk — and a change from a long-sleeved shirt into a short-sleeved one — I ran toward the Gordons Pond Trail and enjoyed the scenery. 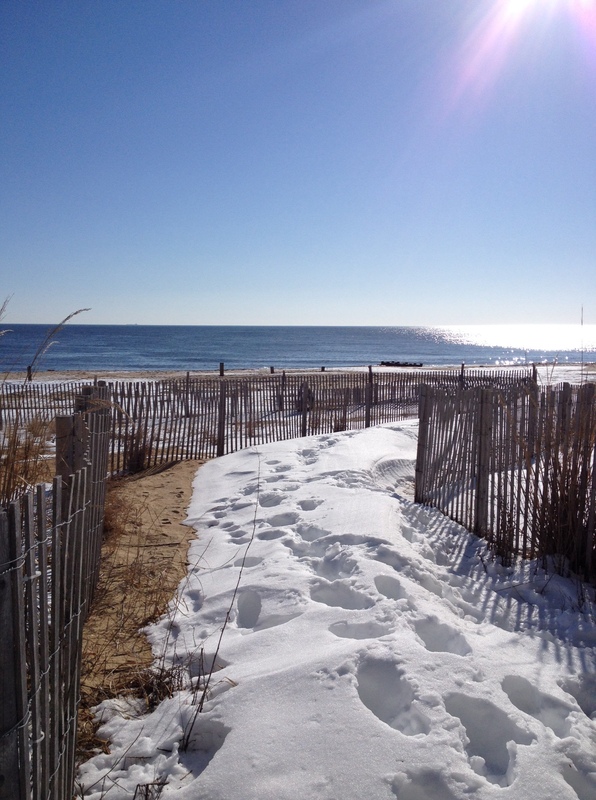 The trail is north of downtown Rehoboth Beach and part of Cape Henlopen State Park. Although the weather was beautiful for a long run, there were still snowy places on the trail to get through — but since I had 17 miles on the schedule, I really wasn’t worried about pace and I ran a very leisurely pace. After the first 10 miles, my boyfriend ran about seven with me, which was great. We ran from Rehoboth Beach into Dewey Beach and back. While I did have some leg pain, I thankfully didn’t have any problems with shin splints. I’m sitting outside as I write this blog post — the weather app on my phone says it’s 63 degrees out here in Salisbury — and I’m looking forward to the predicted high temperatures for this week. With the nicer temperatures combined with the extra sunlight from Daylight Saving Time, I think there are further beautiful weather runs ahead!